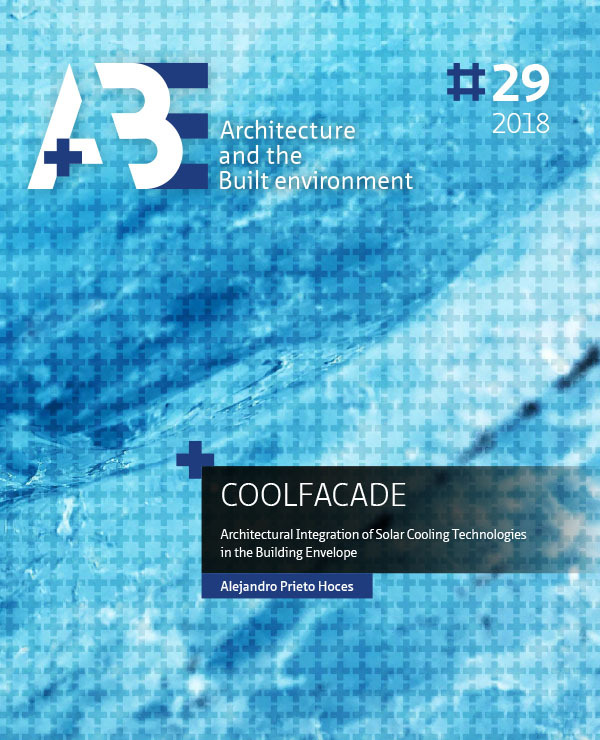 The thesis ‘COOLFACADE – Architectural integration of solar cooling strategies in the building envelope’ aims to shed light on the possibilities and constraints for architectural integration of solar cooling systems in façades, in order to support the design of climate responsive architectural products for office buildings as self-sufficient alternatives to conventional air-conditioning systems. This first chapter introduces the topics to be addressed throughout the dissertation, stating the main research problem, aim and focus of the study. Moreover, research questions are formulated, with consequent strategy and required methods to provide comprehensive answers to the defined challenges. Finally, the impact of the thesis is discussed in terms of its scientific and societal relevance, aiming to provide new knowledge to close research gaps in the field; but most importantly striving to promote further application of environmentally friendly technologies driven by renewable energy sources in the built environment. The integration of decentralised building services into façade components presents advantages from functional and constructional standpoints. However, this integrated approach has not been massively implemented, having only stand-alone buildings and façade concepts as examples.This chapter delves into the requirements for integration within the façade development process, aiming to identify the main perceived problems for building services integration in facades at design, production and assembly stages. The employed method was an exploratory survey addressed to professionals involved in the development of façade systems for office buildings, at different stages, in order to generate new knowledge based on practical experience. The survey was conducted from mid-September to mid-November, 2015 and was distributed both as an online form and in printed format among several professional networks. Results show that the main problems refer to the overall process, particularly regarding coordination issues among different disciplines and stakeholders, while other problems such as costs and lack of knowledge, while still relevant, have more impact on particular stages. Among relevant problems related to the products themselves, the results show physical integration issues during production and assembly stages, and barriers derived from unreliable performance and technical limitations of current products to be integrated in façade systems. Cooling demands of commercial buildings present a relevant challenge for a sustainable future. They account for over half of the overall energy needs for the operation of an average office building in warm climates, and this situation is expected to become more pressing due to increasing temperatures in cities worldwide. To tackle this issue, it is widely agreed that the application of passive strategies should be the first step in the design of energy efficient buildings, only using active equipment if it is truly necessary. Nonetheless, there is still further need for information regarding the potential limits derived from their application. This chapter explores the impact of selected passive cooling strategies in commercial buildings from warm climates, discussing their effectiveness in multiple scenarios and climate contexts. This task is carried out through the statistical analysis of results from documented research experiences, to define overall ranges and boundary conditions; and through software simulation of selected parameters to isolate their impact under a controlled experimental setup. General findings show that the mere inclusion of passive strategies is not enough to guarantee relevant savings. Their effectiveness is conditioned to both the harshness of a given climate and an adequate application of the strategies. Specific recommendations are discussed for the passive strategies considered in the evaluation, in order to optimise the overall performance of a given building in different climates. Increasing cooling demands in buildings call for innovative environmentally friendly systems to cope with remaining loads after the application of passive design strategies. Solar cooling technologies present interesting assets, but their application in the built environment remains greatly limited. Hence, this chapter seeks to assess their potential for widespread application, identifying possibilities and current bottlenecks for the architectural integration of solar cooling technologies in façades. The assessment is based on a state-of-the-art review and discussion of key attributes for façade integration of selected technologies; and a qualitative evaluation of their suitability to respond to main product related barriers for the integration of building services identified in Chapter 4. An overview of the cooling principles behind the operation of the assessed technologies was presented in Chapter 3, so this chapter focuses exclusively on key aspects to overcome barriers related to the technical feasibility, physical integration, durability, performance, and aesthetics of future integrated concepts. Results show that the suitability of the assessed technologies varies according to each particular barrier. Hence, no technology currently fits all required aspects. Nonetheless, the use of thermoelectric modules and compact units based on absorption technologies are regarded as the most promising for the development of either integral building components, or modular plug & play systems for façade integration. In any case, this is heavily conditioned to further efforts and explorations in the field to overcome identified challenges and knowledge gaps.